Former Haleakala National Park Superintendent Donald W. Reeser died at his home Saturday after an illness. Reeser, 80, led the park from 1988 until his retirement in 2005. During that time and after his retirement, he was actively engaged in conservation and community projects. 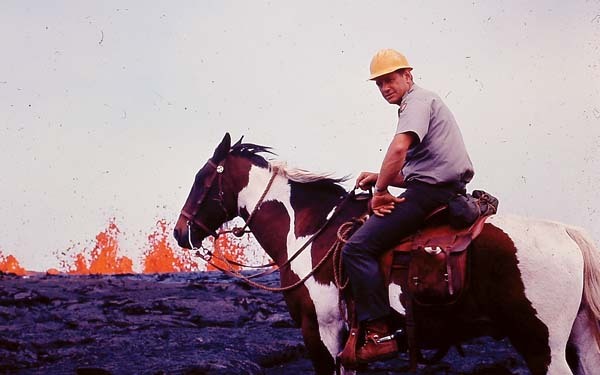 Reeser was known for pioneering the work of fencing and removing goats from both Hawaii Volcanoes and Haleakala national parks, for significantly expanding the size of Haleakala National Park, and for forging partnerships with local conservation groups. 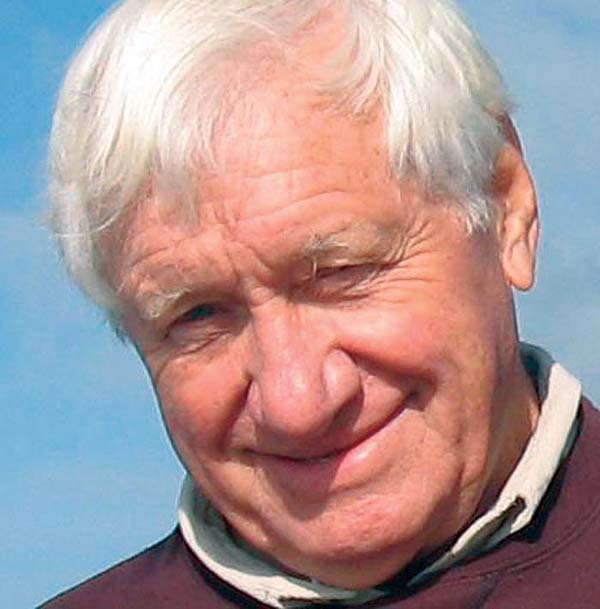 His consistent commitment to preserving Maui’s natural environment earned him the national Sierra Club’s Distinguished Service Award in 1997 and a place on the list of “100 Most Influential People” of Maui County’s first 100 years during the Maui County Centennial Celebration in 2005. 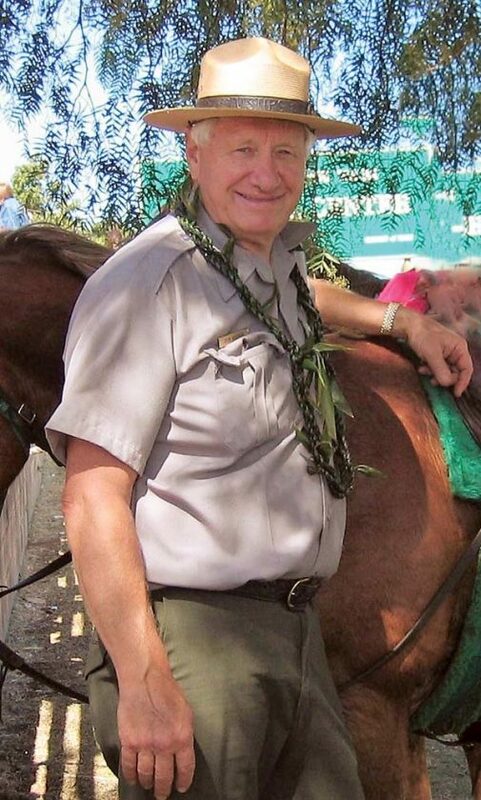 “Don made a tremendous difference to Maui, and he will be missed by us all,” said current Park Superintendent Natalie B. Gates. He was “the quintessential Friend of Haleakala National Park,” said Friends of Haleakala National Park President Matt Wordeman. “Don helped found the friends while he was superintendent and served on its board of directors after his retirement. Reeser was also a past president of the Rotary Club of Maui and of the Maui Historical Society and a board member of Ka ‘Ohana O Kalaupapa, which seeks to memorialize Hansen’s disease patients sent to Kalaupapa. Don Reeser was Haleakala National Park superintendent from 1988 to 2005. He pioneered the use of fencing to protect native species from goats and pigs while at Hawaii Volcanoes National Park. Reeser was born May 25, 1938, in Albany, Ore. He first visited Hawaii in 1960, when he stayed with a college friend on Hawaii island and worked in the pineapple fields. He later said this work, his first connection with a multicultural community, was a life-changing experience. It was during this summer that he met his future wife, Henrietta “Bunnie” Weber, member of a Big Island kamaaina family. Reeser’s first connection with the National Park Service was a seasonal job at Glacier National Park in Montana. With a forestry degree from Oregon State University, he began a career that included stints at Grand Canyon, Muir Woods National Monument and Hawaii Volcanoes National Park, where he started work as wildlife ranger in 1968. While at Hawaii Volcanoes, he initiated the use of fencing and complete removal of feral goat populations to restore native ecosystems. By the time Reeser transferred to Redwood National Park in 1979, more than 15,000 goats had been eliminated, and the park’s native plants had begun to recover. During that time, he led what would become the nation’s first Resources Management Division, which provided a model for the rest of the park system. By the time Reeser was assigned as superintendent of Haleakala in 1988, fencing there was well underway, using the system established on the Big Island. Boundary fencing now totals about 48 miles, the summit is free of pigs and goats, and much of Kipahulu Valley and the Hana rainforest also are protected, allowing native plants to flourish. Reeser took on other challenges to the park’s peace and well-being. He joined forces with others opposing an idea for a tramway from Kula to a restaurant at the summit. 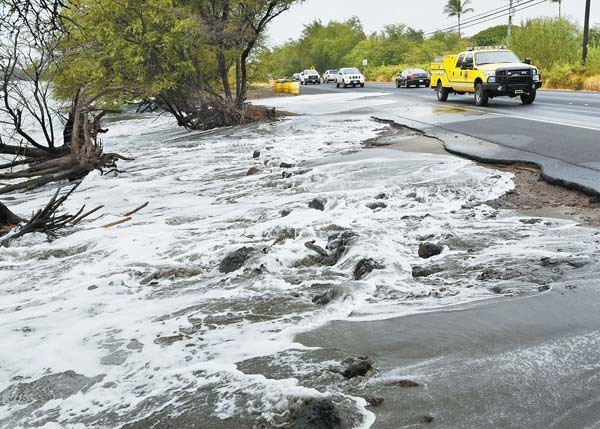 He participated in the effort to require an environmental impact statement on the effects on the whole island (not just on the runway area) of lengthening the Kahului Airport runway to accommodate direct international flights, which could carry invasive species. (The runway lengthening project was not built). 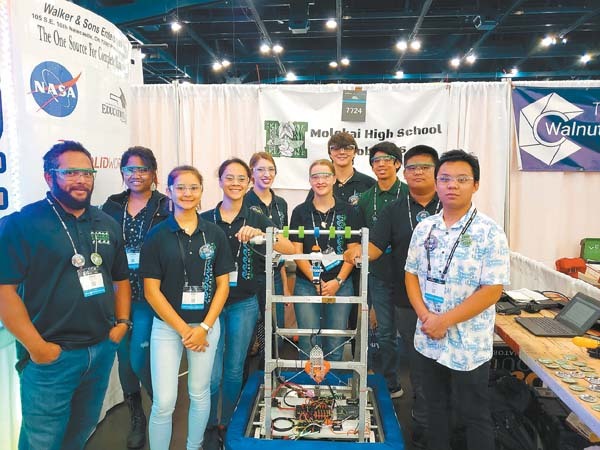 He also joined in the call for an environmental review of the Hawaii Superferry, seeing it as a possible conduit for the spread of alien pests. And he worked for the prohibition of helicopter flights over the crater, helping to create an agreement that became a model for other parks. The park expanded greatly during Reeser’s tenure, from 28,000 acres to 34,000, filling out the park’s Kipahulu section, adding the Kaapahu section and obtaining a federal appropriation for the purchase of the Nuu section. During that time, park staff grew from 38 to 70 positions. Reeser worked with community groups on these projects, ignoring boundaries to cooperate with other landowning entities and prevent the spread of invasive species. 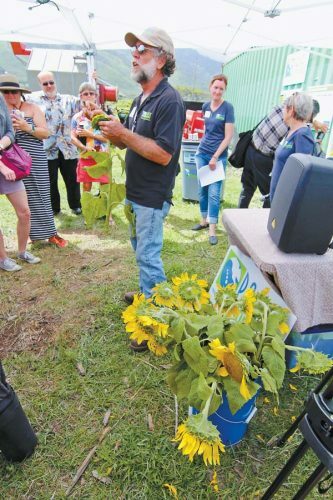 He helped establish the East Maui Watershed Partnership to pool economic, technical and human resources in a combined effort to protect the watershed. These partnerships with government agencies, environmental groups and private landowners were particularly important in fighting alien species, such as miconia, whose rapid spread resulted in the establishment of the Maui Invasive Species Committee. Reeser helped keep the plant out of park land by funding work to stop miconia from moving closer to the pristine Kipahulu Valley. Reeser’s survivors include his daughter, Cheryl Ku’ulei; son, Bryan; sister, Beverley Griffiths; three grandchildren and companion Diane Price. Plans are pending for a celebration of life. In lieu of flowers, the family requests that monetary donations be made in his honor to the Friends of Haleakala National Park (fhnp.org/FoH/ FoH_membership.php) or Ka ‘Ohana O Kalaupapa (www.kalaupapaohana.org/support.html). Condolences may be sent to Borthwick Norman’s Mortuary, 105 Waiale Road, Wailuku 96793. Aliya Harmon of Baldwin smiles after the Bears’ win. Kekaulike catcher Lehua Jimenez looses control of the ball while trying to tag out Baldwin’s Siena DeCambra in the sixth inning Wednesday. The Bears’ Aliya Harmon follows through on a two-run double in the fourth.